I LOVE profressional hair products and hair styling tools! and I have been hooked on professional/salon grade supplies ever since! Through the years, I’ve learned that I am kind of picky when it comes to blow dryers. They absolutely can not be too heavy, they need to have a a long enough cord to reach around my client (or child :), and they have to have a good amount of air pressure. Well, if you feel the same, boy have I got the perfect hair dryer for you! It is the The HANA Air Premiere Hair Dryer! When I first opened the lid of the box, this is the beauty that I found. There were all sorts of little extra gifts in there to make it beautiful! In both of the pretty purple bags, there was hand sanitizer and 2 nail files! My girls LOVED the teddy bear and immediately claimed it as their own. It also came with a brush, some chocolates, a heat proof pouch & an e.l.f. eyelash curler. It was packaged up so pretty, I almost didn’t want to take it out of the box. The next morning I was anxious to use this baby. First, right off the bat, I was impressed with the length of the cord. I just HAD to measure it because I could tell it was a lot longer than my previous cord. I’m a nerd I know, but it measured 11 feet long! 🙂 My last blow dryer cord was only 8.5 feet long. Next, I loved the feel of it. The handle is nice and slender so that my hand can fit all the way around it. It has the standard switches on the front of it. The bottom switch is the heat control and it says “Off, Warm, or Hot”. It does exactly what you want. I usually use the warm setting. When I switch the dryer to “off” it has air, but there is no heat, which is perfect if you have damaged hair at all. The middle switch is the power switch and is says “Off, Low, or High”. The button at the top is a cool shot. It is nice when you are round brushing your hair and want it to keep the curl. Shoot the hair with a bit of cool air when you are finished to set in the curl. My arm does not want to fall off before I’m finished. It’s awesome. I also love the narrow nozzle. I didn’t have any frizz when I used this drier and my hair felt SO soft. It also dried my hair quicker. No, I haven’t timed the difference yet, but I’ve thought about it! It is noticeably shorter time. I know I have short hair, so it’s not as critical to me, but for my daughter with thick hair, yeah…it’s going to be a big difference. Misikko also has a Facebook page and they offer great hair advice and run giveaways for some of their most popular products. Hurry over there and check them out! I’m a huge fan of the Happy Hour at Sonic! Oh yeah….1/2 price slushies and drinks from 2:00-4:00 pm??? Sign me up! Well, now Taco Bell has a happier hour too! From 2:00–5:00 pm every day, stop by Taco Bell for $1.00 Loaded Grillers, medium drinks, Limeade Sparklers or any Freeze. Head to their Facebook page for more details. 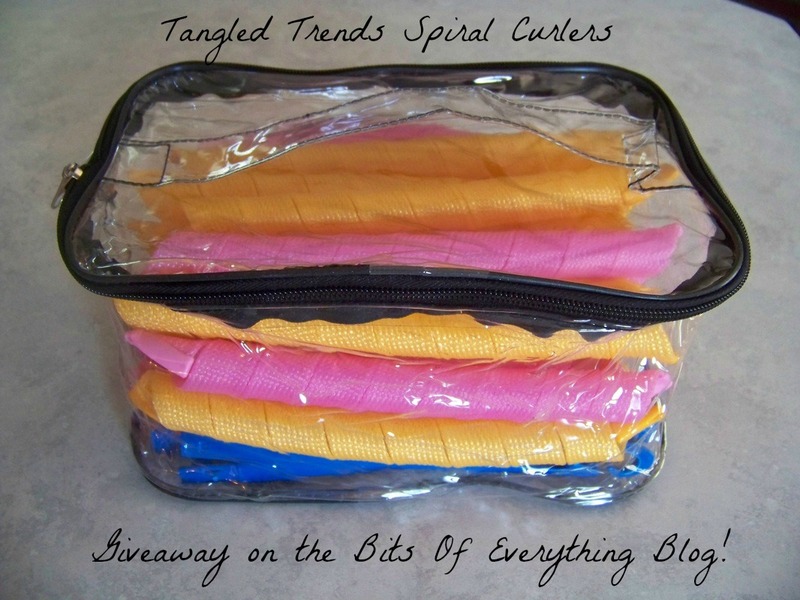 Many of you remember THIS post about the new curlers I found, right? even ordered some from her! She is so nice and you can contact her through her facebook page anytime. Well today I’ve got GREAT NEWS FOR YOU!!! She is willing to give away this set! 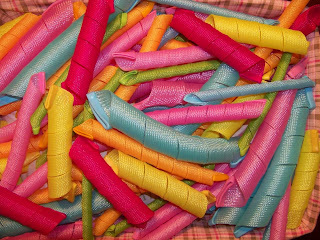 This set of curlers even comes with a hook in this nice zippered storage case!